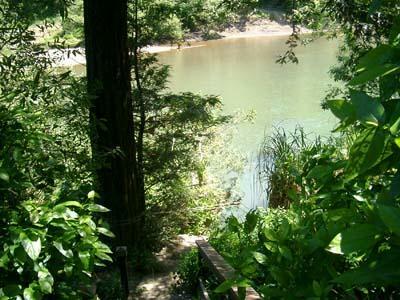 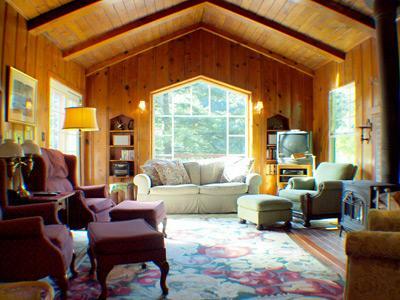 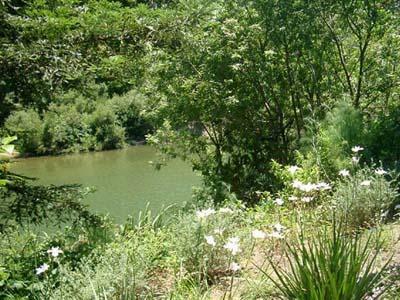 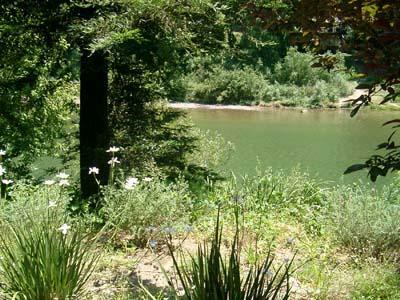 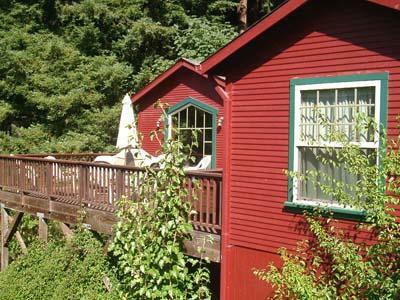 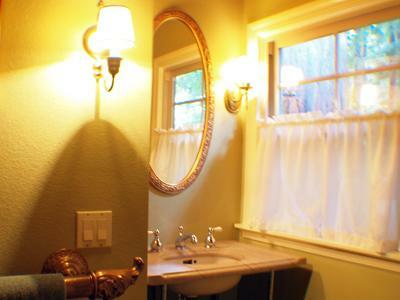 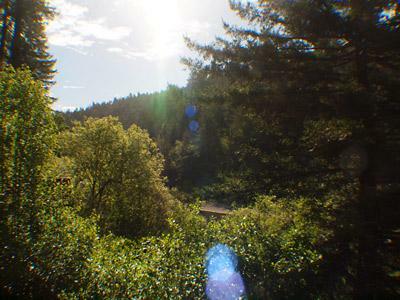 Bella Ursula is an enchanting house nestled among the redwoods and overlooking the Russian River. 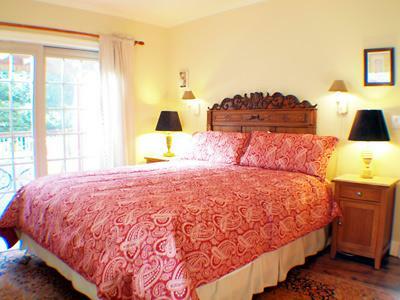 Bella Ursula's guests enjoy spectacular river views and an ideal combination of old world charm and modern amenities. 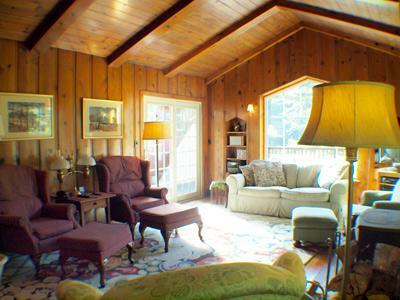 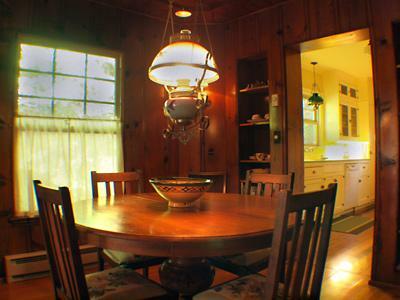 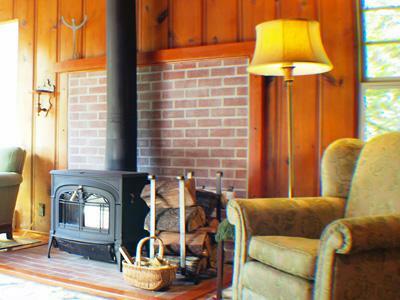 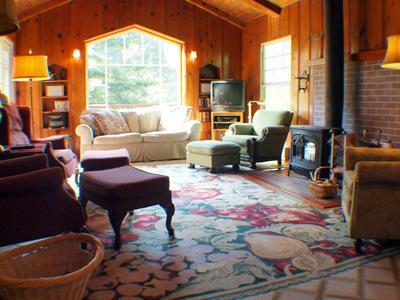 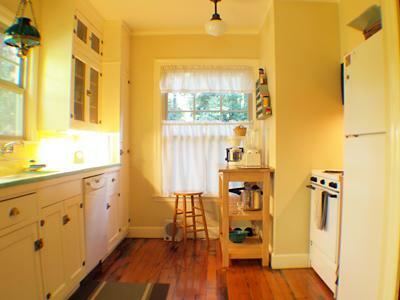 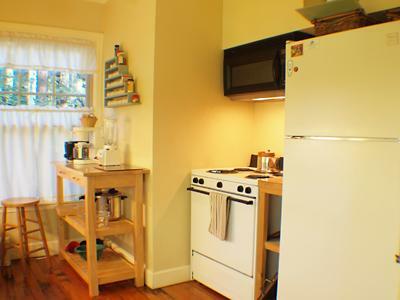 The tastefully decorated interior features rich knotty pine paneling, hardwood floors, vaulted ceilings, and a woodstove. 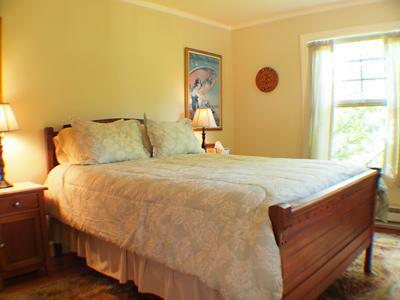 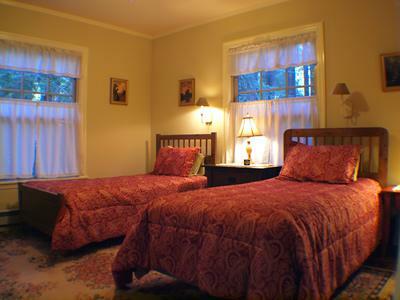 The house is named after the talented artist whose original watercolors adorn many of the walls. 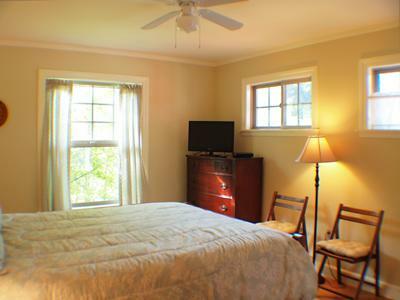 The living room and the king bedroom opens onto a spacious, sunny deck offering views down the river. 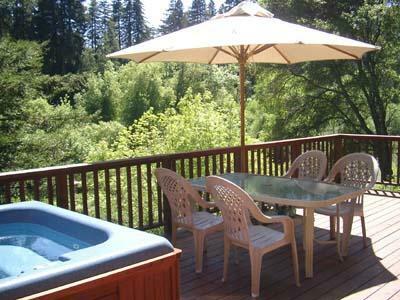 The deck features a spa and a propane barbecue. 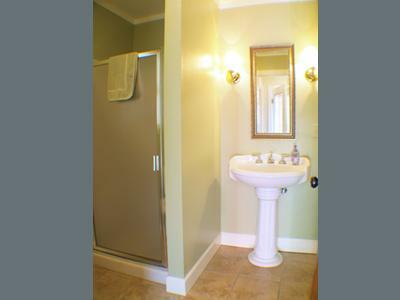 Just off the deck is a separate master bedroom and bath with a shower. 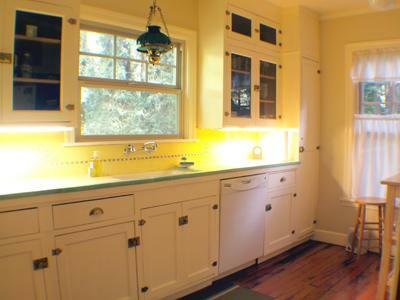 The kitchen, third bedroom and second bathroom with shower are located on the same level at the front of the house. 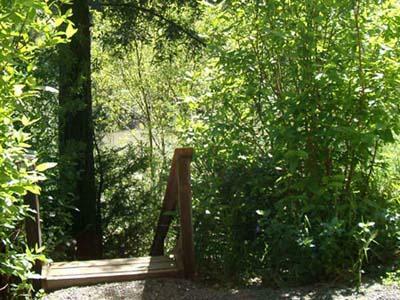 A stairway leads from the lower yard to a seasonal, private deepwater dock. 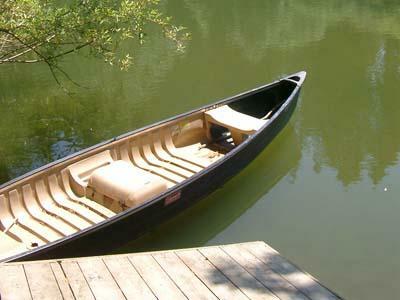 A canoe and two kayaks are available for scenic rides on this beautiful and peaceful portion of the river (available mid-June through mid-September only). 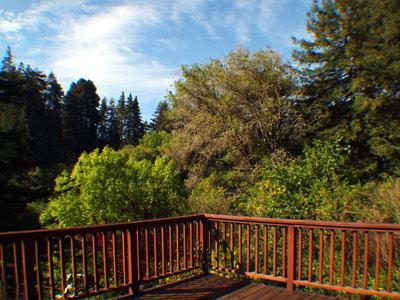 Bella Ursula is a fully equipped Russian River Vacation Rental and is close to downtown Guerneville (about one mile west), with unique shops and a variety of restaurants. 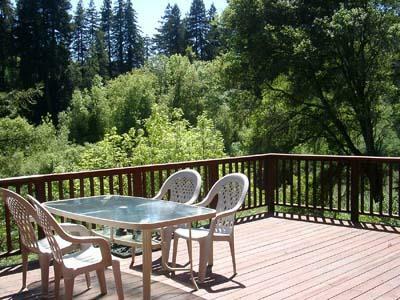 Northwood Golf Course is also nearby; the Sonoma Coast and many Russian River Valley wineries are only a short drive away. 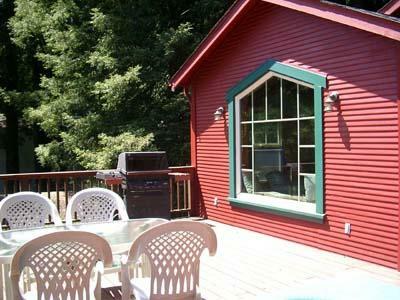 LOCATION: Bella Ursula is located next door to River Dream, a three bedroom two bath riverfront home that sleeps 8.